XPLORE is no ordinary 5k, but rather a team of your closest friends racing through the city on foot or using public transportation, taking memorable group pictures and working together. Much like a one-day version of The Amazing Race, strategy is more important than speed, and you will need a sense of adventure along with a keen wit to make it to the finish line ahead of the competition and win huge cash prizes! XPLORE was created to be a fun, healthy, and social way of experiencing each unique city. So whether you're an elite track star, a bookworm who loves the Rubix Cube, or a family with kids on each hip, you will love this race, and you will have an equal shot at winning! Becoming an X-Racer means you are looking to experience life, and not just watch it from a distance or look back years from now and wish you had done more with it. If you're ready for that, gather your team and register for any and every city you can! Solve this clue and get 10% off discount code for XPLORE Portland. Code= The name of the large sculpture found above the entrance of the building pinned in this 3D rendering. Register for XPLORE Boston by July 14th and also get this custom urban racing tee on race day! Register for XPLORE Denver by July 21st and also get this custom urban racing tee on race day! 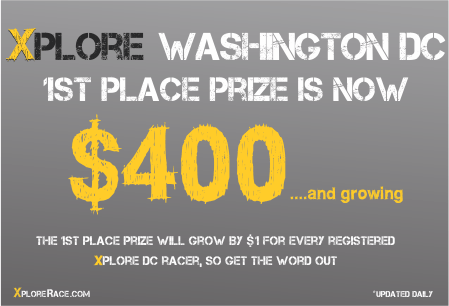 Register for XPLORE DC by July 28th and also get this custom urban racing tee on race day! Register for XPLORE Atlanta by August 19th and also get this custom urban racing tee on race day! 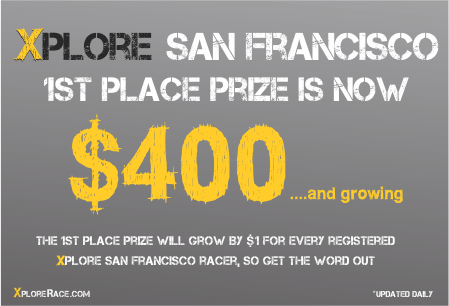 Register for XPLORE San Francisco by August 26th and also get this custom urban racing tee on race day! Register for XPLORE Austin by September 3rd and also get this custom urban racing tee on race day!